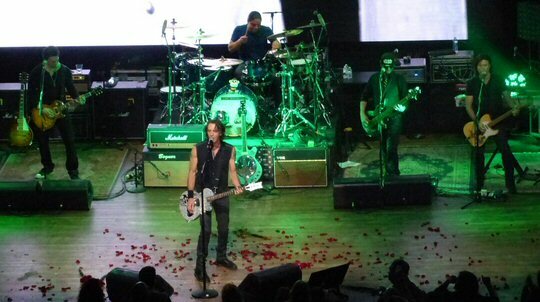 Rick Springfield returned for a two-night engagement at the Wildhorse Saloon in Nashville, Tennessee on February 10 and 11, 2017. Rick has been performing at this legendary landmark annually for the past decade. The pre-Valentine’s Day weekend crowd was in a celebratory mood as they waited for their heartthrob to take the stage on Saturday night. A career spanning video was shown as Rick with his talented team emerged to the lively and upbeat “Light This Party Up”. But, apparently someone thought it would be funny to pull the fire alarm which brought the music to a sudden standstill. Thankfully people remained calm but confused as the group walked off stage. 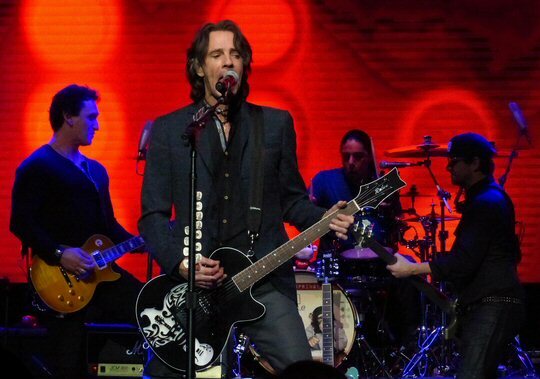 Rick Springfield is an Australian musician, singer, songwriter, actor and author. Rick was an iconic figure in the 1980s playing Dr. Noah Drake on the soap opera General Hospital. He also had a No. 1 hit with “Jessie’s Girl” in 1981 in both Australia and the US, for which he received the Grammy Award for Best Male Rock Vocal Performance. Springfield followed that up with four more top 10 US hits, “I’ve Done Everything for You”, “Don’t Talk to Strangers”, “Affair of the Heart” and “Love Somebody”. “Let’s Light This Party Up, even though they tried to shut us down,” stated Rick but the delay had sucked some of the air out of the room. 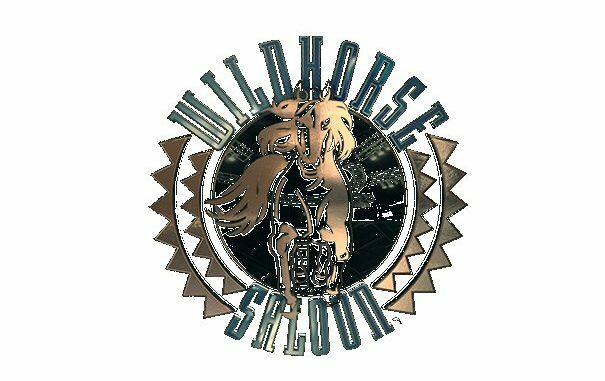 However, Springfield and Company have been doing this a long time and the popular “I’ve Done Everything for You” elevated the energy at the Wildhorse and the show soon got galloping to a good pace once again. “Jesus Saves (White Trash Like You)” was more of a hard rocking tune with a harsh yet true hook line proving Rick can pen more than peppy pop tunes. Afterwards Rick commented that it might have been about 10 years since they played that one. The set covered a wide span of Springfield’s catalog. Rick wisely mixed newer tracks from his latest record Rocket Science with the hits keeping both the audience and himself happy. An animated “Affair of the Heart” heated things up more. At this point Rick removed his jacket revealing a sleeveless top and muscular arms. Now in his 60’s Springfield is still that good-looking heartthrob once acclaimed on the cover of teen magazines. “Our Ship’s Sinking” from the Songs For the End of the World album was a timely tune that he said could apply to a relationship ending or the state of this world. It was an up-tempo piece despite the pensive lyrics. Central images of the Titanic going down added to the somber tone. On the side monitors were live clips of Rick. Lighting and visuals were used effectively throughout the concert. In some cases shots from the 80’s were mixed in with modern moments. “Hello everybody,” greeted Rick who inquired who was here last night mentioning that they were changing up the set list for those fans. Springfield switched instruments a number of times during the show. He used a bright green resonator guitar to craft a bluesy, tantalizing twang for “Miss Mayhem” from his most recent album. I am going to do some “noodling for you” said Rick as he grabbed an electric to connect with his inner Eddie Van Halen attesting that the guitar is more than just a prop for Rick who is agile on the axe, too. 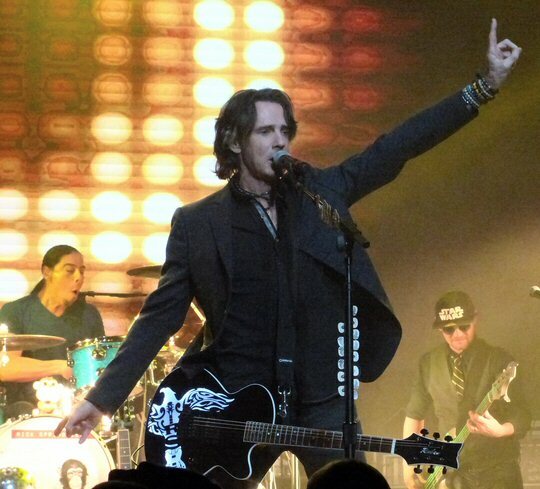 In addition to the loss of power to start the show the past year has been one of difficult loss for the rocker since he last appeared at the recently renovated Wildhorse Saloon. It was widely reported that his mother passed away in December. 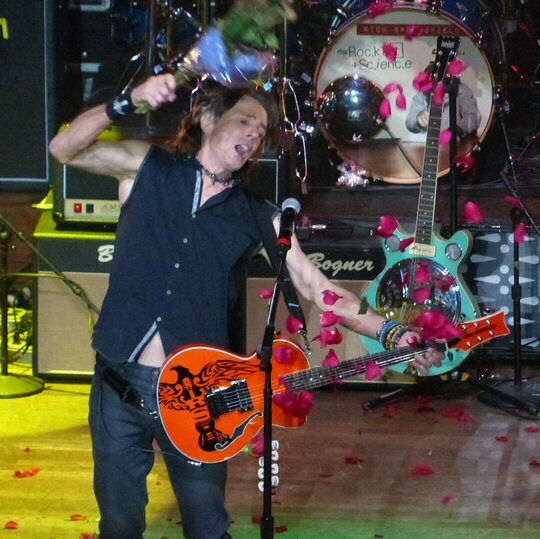 Rick also pointed out his “light up” guitar that was the idea of his beloved guitar tech Ruben Velasco who succumbed to a battle with cancer in May. Still, the night remained a celebration of youth and our shared humanity. “Don’t Talk To Strangers” was an interactive tune in which Rick went out into the audience in search of young fans to join him on stage to assist with the refrain. Springfield asked each child their name and age before leading them through the hit. Rick was soon back in the crowd during “Human Touch” allowing the band time to jam for a bit as Springfield mingled. The hit “Love Somebody” closed the set on a high note before they returned for the three song encore. 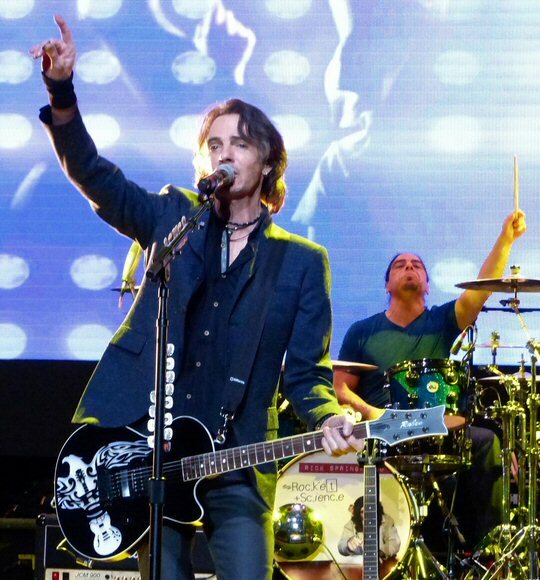 Movie star, actor, Australian rocker and one-time teen idol – Rick Springfield. For “Jessie’s Girl” Rick added a few small changes such as dramatic pauses to keep his biggest song fresh. Next, he presented a track that fans might not have been familiar with. In January of 2012 Rick was interviewed by Dave Grohl about his experiences at Sound City studios for the Dave Grohl directed Sound City film documentary which chronicles the legendary Van Nuys, California studio and many of the bands and artists who recorded hit records there. Rick ended up co-writing and recording “The Man That Never Was” with the Foo Fighters for the film’s soundtrack. The Foo influenced tune rocked as did an unrehearsed version of The Kink’s classic “You Really Got Me” to finish the concert on a wild note.